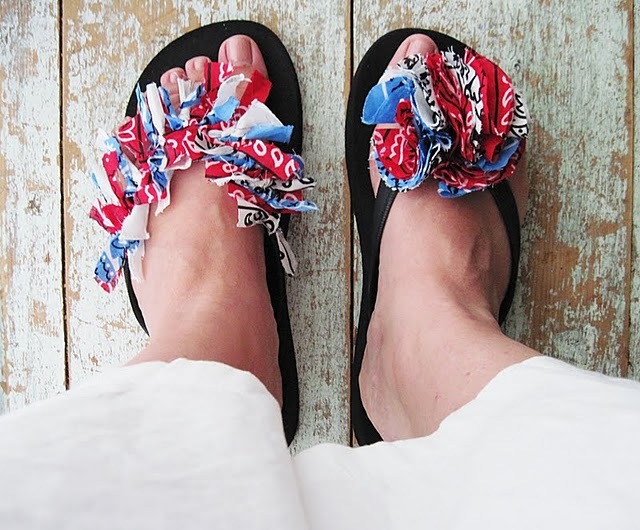 Jessica posted some great ways to bring a little red, white, and blue to your 4th of July using bandanas. 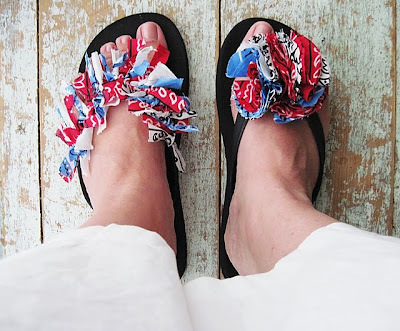 She used them to wrap up all sorts of things for the perfect patriotic picnic and she also used them to make some fun 4th of July Flip Flops. You can see the tutorial for both styles over at Two Shades of Pink. i cannot wait to make these with my daughter. thank you!